(Bloomberg) -- The New York restaurants we’re looking at this week, plus the food and events making the news. 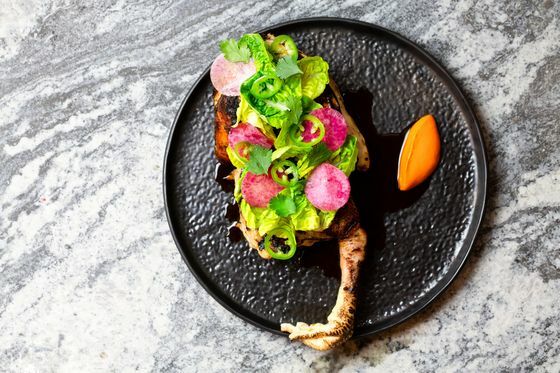 The restaurants at Hudson Yards are taking up a lot of the oxygen in New York’s culinary world this week, but not all of it. Crown Shy is a collaboration from a team of heavy hitters including chef James Kent, who ran the kitchen at the Nomad and cooked at Eleven Madison Park; Jeff Katz, a managing partner at Del Posto; and bar director Jonathan Lind (also of the Nomad). Even the address is powerful. The Art Deco building at 70 Pine Street was built by Cities Service Company (which later became Citgo) after the crash of ‘29. In 1976, it became AIG’s HQ and chairman Maurice “Hank” Greenberg installed a private dining room on the 66th floor, in the former glass-walled observation deck. Later this year, the Crown Shy crew will open that room to all, opening an as yet-unnamed restaurant with views that may rival its neighbor, Manhatta. At Crown Shy, Kent serves reworked classics with big flavors. He made roast chicken for two a destination dish at The Nomad. Here the best seller is another bird, one with more attitude. The half chicken is brined with citrus, chiles and fermented chile juice then hit with butter, grilled and served foot on; it’s tangy and exhilaratingly spicy. Short ribs are roasted until charred and presented in thick slices on a Fred Flintstone sized bone with chimichurri sauce. Also worth ordering are the cavetelli with crumbled chicken liver ragu and potent grated horseradish; and luxurious bowls of farro with a rich, bone marrow-infused sauce and tender oxtail. Pastry chef Renata Ameni, another EMP alum, offers caramel-drenched sticky toffee pudding and a dense chocolate tart topped with stracciatella ice cream. The long granite bar is located [pst the building’s marble lobby, where Lind has a list of well-made drinks like Radicle—a refreshing mix of tequila, raspberry, rhubarb and habanero. Wine director Luke Boland compiled the 50-page wine list, which goes deep on France. The dining room, designed by MN Design Professional Corporation, seats 120 in a space dominated by light wood, white walls and tall windows. Unlike just about every other restaurant in New York, there’s plenty of room between tables. What’s missing is a view of anything but the open kitchen. There will be plenty of those when the Crown Shy crew open their second restaurant in the clouds; Hank Greenberg’s old dining room has 360° views of the city. *The Gramercy Park steakhouse has moved uptown. 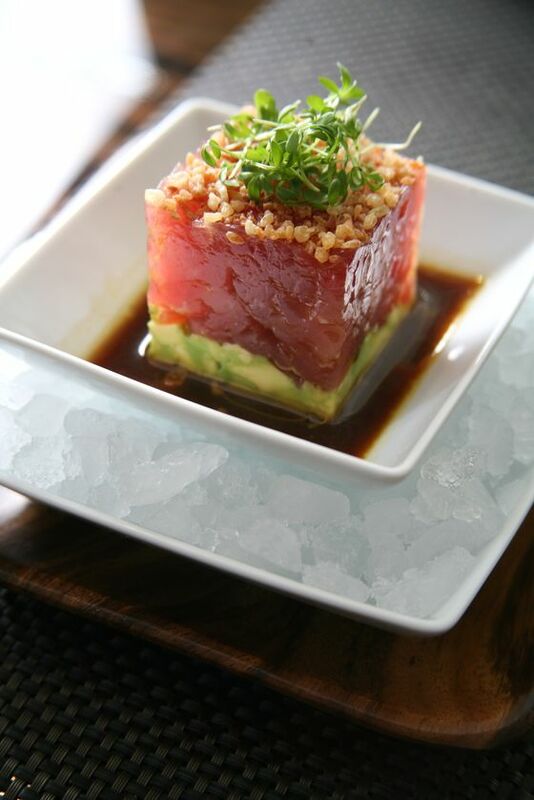 The menu from Executive Chef Clifford Crooks includes best-sellers like tuna tartare with avocado and soy-lime dressing; and the lobster cobb salad with avocado, pancetta and egg. There are some new additions as well: salmon crudo with everything dukkah (the Egyptian spice and nut mix) and mezcal buttermilk; young chicken with truffle puree; and lamb chops with black olive caramel. *The restaurant’s steak program features cuts like NY strip, bone-in cowboy ribeye, 28-day dry-aged prime bone-in strip and filet mignon. *Beverages are overseen by BLT alumni Luis Nunez and Dana Watkins. The cocktail menu has options like the “12 O’Clocktail,” a mixture of bourbon, amaro and cherry liqueur. The steak-friendly wine list is stocked with a mix of old and new world bottles. 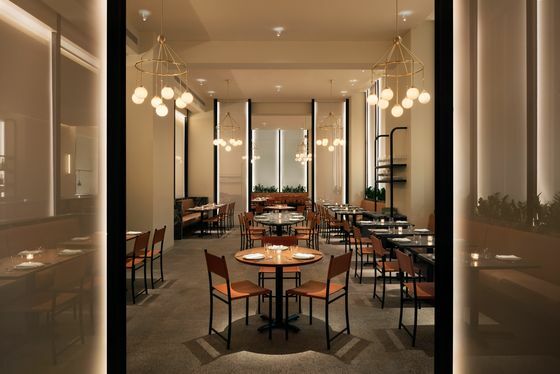 *The bi-level space—designed by Jeanette Didon of Byblack and Crystal Schenk of ESquared Hospitality—has a main dining room outfitted with light caramel-colored banquettes, large columns and mirrors. The adjoining lounge is lined with dark wood panels and features a zinc bar. All told, it seats 140 diners. *This is currently New York’s only BLT Prime. Other locations in the U.S. include the Trump International Hotel in Washington, D.C., and at Trump National Doral in Miami. Sister property BLT Steak has been on 57th Street since 2004. Hours Dinner Mon-Sat from 5.30pm; Lunch: Mon-Fri 11.30am-2.30pm. Brunch will start March 30th. *The popular Japanese-based chain this week opened its first outpost in New York. The restaurant boasts individual heated platters—a technology patented in Japan—so diners can cook all-in-one meals that invariably include peppered rice and steak. *There are now over 470 locations of the chain—owned by Pepper Food Service Co., Ltd.—worldwide, including spots in Hong Kong, Singapore and Los Angeles. *On the menu: the signature steaks, with options like Angus rib-eye and “Hamburg Steak with Egg.” There’s also chicken pepper rice, plus more unconventional combinations like kimchi cheese beef pepper rice, and bacon cheese pepper rice. *Side dishes are an international mash-up, from miso soup and kimchi to Caesar salad, onion rings and sausages. There’s also beer and house red or white wine ($25 per bottle). *The utilitarian space looks like other Pepper Lunches around the world, seating 62 at communal tables and two-tops. 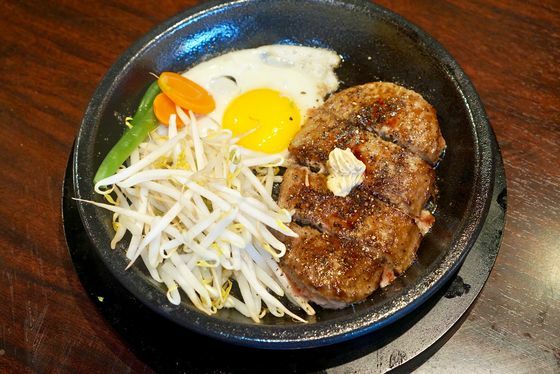 The group also owns Ikinari Steak, which recently announced the closing of nine Manhattan locations after overly fast expansion. Two are converting to Pepper Lunch. The Cannibal. The meat-focused bar with an enviable beer list in the Nomad neighborhood has closed. Owner Christian Pappanicholas told Eater that the rent had climbed to an unaffordable $33,000 per month. Sushiden. It was one of New York’s pioneering counters, but both Midtown locations have shuttered. Notable alumni include Sushi Noz chef Nozumu Abe. Coffee. An unexpected player has moved into the coffee game. Burger King is offering $5-a-month subscriptions in an attempt to become part of customer’s morning routines and compete against McDonald’s Corp. The app only allows for one coffee a day. 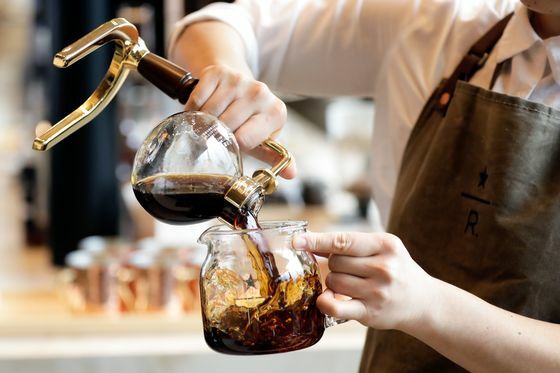 Meanwhile, Starbucks Corp. is looking to expand beyond coffee. They’ve created a $100 million fund to invest in new food-related products. Eggs. After years as the go-to snack for high-protein dieters, a new study in the Journal of the American Medical Association has identified the cholesterol in eggs as a potential cause of heart disease. Before you get too alarmed, here’s an argument for not giving up scrambled eggs. The Sam Mendes-directed film follows the Lehman family’s journey to America and building the business that famously collapsed during the 2008 crisis. Wednesday, March 27th, at the Park Avenue Armory. Runs through April 20th.